Huge Savings Item! 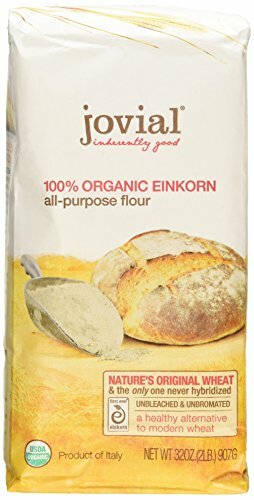 Save 20% on the Jovial: Organic Einkorn Flour, 32 oz (2 pack) by Jovial at Good Time Donuts. MPN: 1238773. Hurry! Limited time offer. Offer valid only while supplies last. Our mission is to create authentic, unique and satisfying foods you can trust, with a time-honored taste that embraces the heritage of our ancestors. Our mission is to create authentic, unique and satisfying foods you can trust, with a time-honored taste that embraces the heritage of our ancestors. Our crops are lovingly cultivated by small-scale farmers and our products are masterly crafted by Italian artisans, resulting in the finest nutrient-rich, distinctly flavorful foods.